My (life in) music lists – Page 2 – These are the songs that have and will continue to soundtrack my life. I guess it was just a matter of time before playlists became a thing on this blog. The only surprise to me is that it took me this long to break down and post a Spotify playlist to these pages. And I’m already imagining this won’t be the last. Hence, the “part one” adjunct at the end the title above. These here twenty-five songs are all from albums that have been released in the first three months of 2019 and are amongst my faves from said albums. Indeed, these are the songs that have soundtracked a very long winter up here in Canada’s capital, making my morning and afternoon commutes to and from work that much more bearable. For those of you who are on Spotify, feel free to look me up. My user name is “jprobichaud911”. 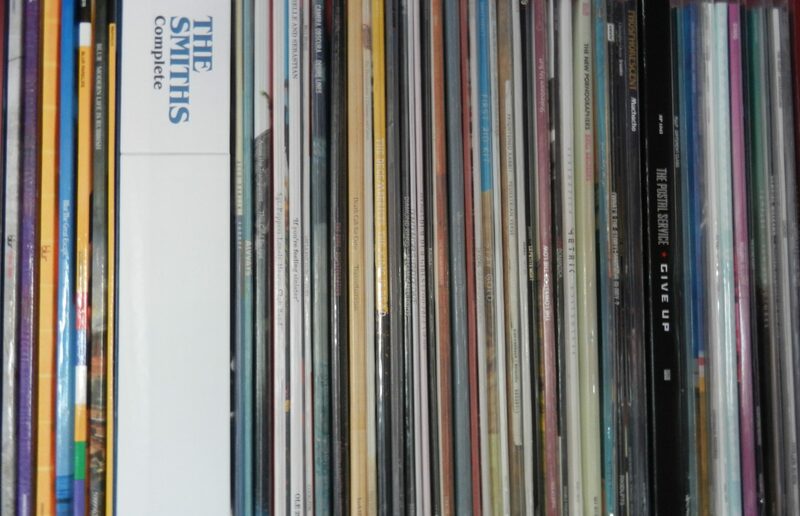 The skinny: So perhaps my expectations were unreasonable, as were my hopes that our local stores would somehow manage to track down some of the US and UK exclusives, but I have to admit to a modicum of disappointment with this year’s Record Store Day. Unless you count the free disc I scored with one of my purchases, the only RSD exclusive I picked up today is this one, though I did take advantage of the sales to procure a few records I’ve had my eye on for a while. Still, rather than dwelling on what I didn’t find, let’s have a look at this excellent clear vinyl reissue of The Charlatans’ 1999 album, “Us and us only”, that I did find. One of the many great albums by one of my favourite bands, this release was one of the few bright spots for me in the year it was released. And it sure does sound sweet on vinyl. At the time that the Manic Street Preachers released their fifth studio album, I really only knew them for a couple of cover songs that I had on compilation CDs. And I don’t actually know why I didn’t search them out sooner because I really liked their renditions of “Suicide is painless” and “Raindrops keep falling on my head”. Nonetheless, the year after “This is my truth now tell me yours” was released, my roommate at the time, Ryan, had picked up a copy and was listening to it all the time. I made a copy of it on cassette eventually (or did he burn me a copy to CD, I honestly can’t remember) and I grew to love it over the years. So much so that I now have a copy of it in my vinyl collection. The album is the band’s first without a shred of input from Richey Edwards, one of the band’s original guitarists and lyricists. He had disappeared three years earlier in 1995 and to this day, has never been found, though he has been declared dead since 2008. His disappearance had really shaken the band to its core and they had briefly considered disbanding. Even still, they never replaced him, carrying on as a three-piece and as I understand it, they continue to set up a microphone for him at all their live shows. For the first album after he went missing, 1996’s “Everything must go”, the band used his lyrics for a handful of songs but for “This is my truth”, all the songs’ words were written by the band’s other lyricist, Nicky Wire. This album also represented a change in sound for the band, softening its harder elements and experimenting with different instrumentation and sounds. “This is my truth now tell me yours” was a huge hit for the Manics, carrying on from the ground broken with its predecessor. It debuted at number one on the UK charts, had the band cleaning up at the NME and Brit awards, garnered them a Mercury Prize nomination, and broke them with an international audiences. It’s a big album that is both personal and aware of the ills of the world. It is melodic guitar rock with a conscience, James Dean Bradfield’s earnest voice speaking to our deepest selves. The album is pretty darned solid from end to end and earned the band five very successful singles and it is from these that I present my three picks for you below. ”You stole the sun from my heart”: You’ve heard the term ‘Frenemy’? Well, I think that’s an apt term to describe this first song. A sampled electronic drum loop set against the quiet versus loud phenomenon. Sunshine and technicolour animals set against the deluge, love versus hate. “You have broken through my armour and I don’t have an answer. I love you all the same.” Nicky Wire has said he wrote the words about the band’s feelings towards touring but it could just as easily describe an unhealthy relationship. That’s the beauty of the Manics. ”Tsunami”: Electric sitar forms the basis of this, the fourth single released off the album. It lends a mystical and mysterious edge to an otherwise accessible sounding pop song. It tells the story of the Gibbons twin sisters who held a pact with one another not to speak to another living soul unless one of them should die. The title describes the feeling the surviving twin must have felt when the other actually did die (under mysterious circumstances) in 1993. “Tsunami, tsunami, came washing over me. Can’t speak. Can’t think. Won’t talk. Won’t walk.” Meanwhile, that electric sitar continues to dance along our spines. ”If you tolerate this your children will be next”: This is easily my favourite track by the band, a song so beautiful and moving, not just in words but in sound and passion, that has been known to bring a tear to my ear. It takes for its subject matter the Spanish civil war, the title is a tagline used by the Republican army to try enlist the help of likeminded folks from other countries to their cause. So many great lines in the song but I think the ones that ring true the most are these: “Gravity keeps my head down. Or is it maybe shame at being so young and being so vain.” Hits deep at my own heart and gets me wondering if I would have had the courage in the face of a world war or something like it. Again, there’s so much passion, incredulity, and outrage imbued in this track and yet, singing along with it brings such release. Very nice indeed.